Soft, vegan sugar cookies with crispy edges, for all your holiday needs. 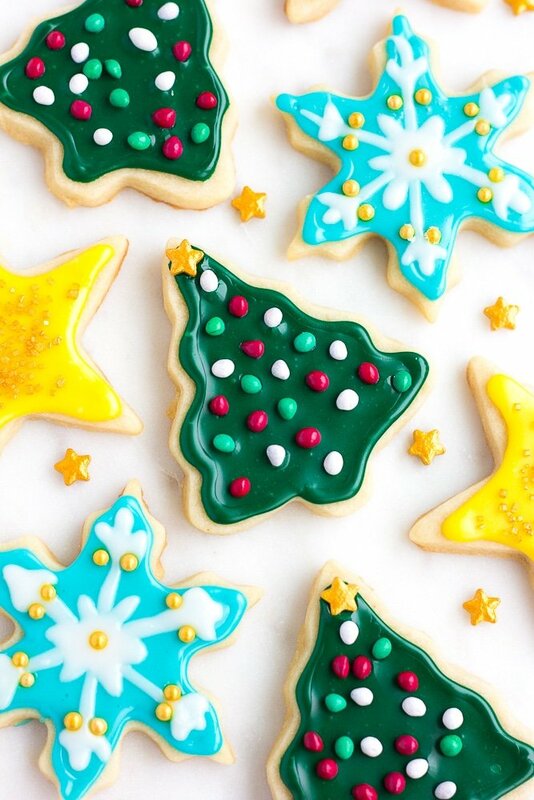 Have fun with different cookie cutters, easy icing and sprinkles of course! After much trial and error, I finally have the perfect recipe for soft cut-out vegan sugar cookies. 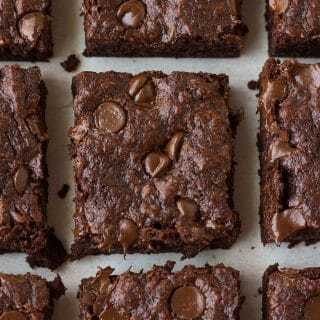 Seriously, these are the cookies of my dreams, and I think you will LOVE them! They are easy to make and roll out. A little trick I learned is to roll the dough onto parchment paper before chilling in the refrigerator. This way, the cookie dough only needs to chill for about an hour before you can cut and bake! And you don’t have to roll out cookie dough that is crumbling everywhere. Easy peasy. First, make the dough, using just 1 bowl and either a standing mixer with the paddle attachment or a hand mixer. Your cookie dough should be similar to the texture of play dough. It will be rather crumbly in the bowl, but not dry, and it should stick together when you use your hands to roll it into a ball. Once the dough is made, break it into two balls. Place one of the doughs onto parchment paper, on a hard surface. Roll the dough out, about 1/4 inch thick. Sprinkle a little flour on top so the dough doesn’t stick to your rolling pin. Place another piece of parchment paper on top of the first rolled dough. Repeat with the second ball of dough (I usually do this right on top of the first rolled dough). 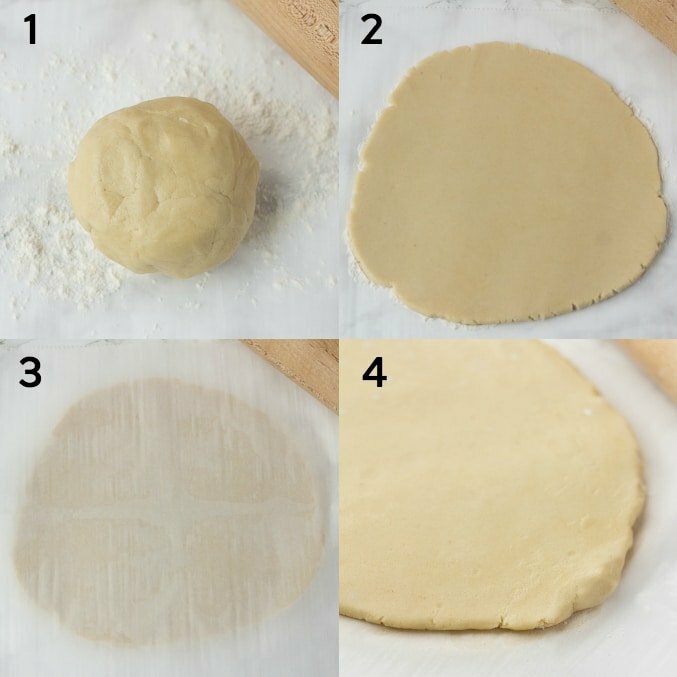 Place another piece of parchment paper on top and carefully transfer the rolled dough to the refrigerator to chill for 1 hour. *PLEASE NOTE THIS PAGE MAY CONTAIN AFFILIATE LINKS. 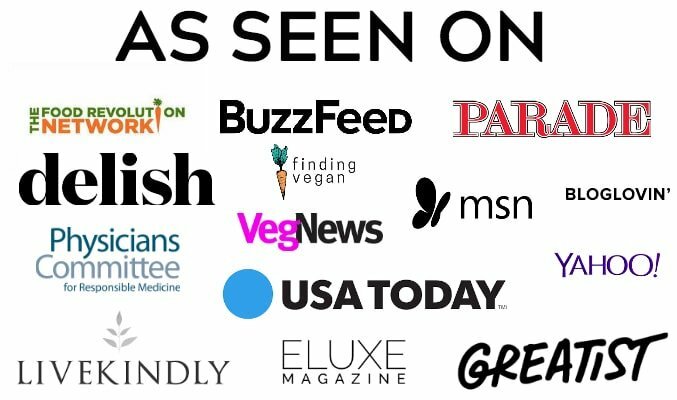 I ONLY LINK TO PRODUCTS I ABSOLUTELY LOVE AND RECOMMEND. THANK YOU FOR YOUR SUPPORT. Remove the dough from the fridge, cut into desired shapes and bake for 8-10 minutes. 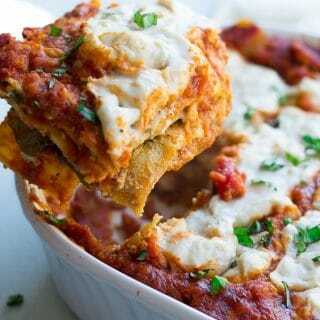 They will look underdone, but firm up considerably as they cool. This is the key to soft sugar cookies. If you want them crispy, you could roll the dough thinner and cook them a bit longer, but I prefer them softer. They will look like this when they come out of the oven. See how they don’t puff up a bunch or spread like some sugar cookie recipes do? Cookie perfection. 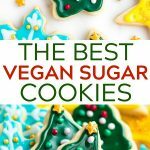 What’s the best way to decorate vegan sugar cookies? This video was incredibly helpful. So if you want to make really pretty sugar cookies, I recommend it! 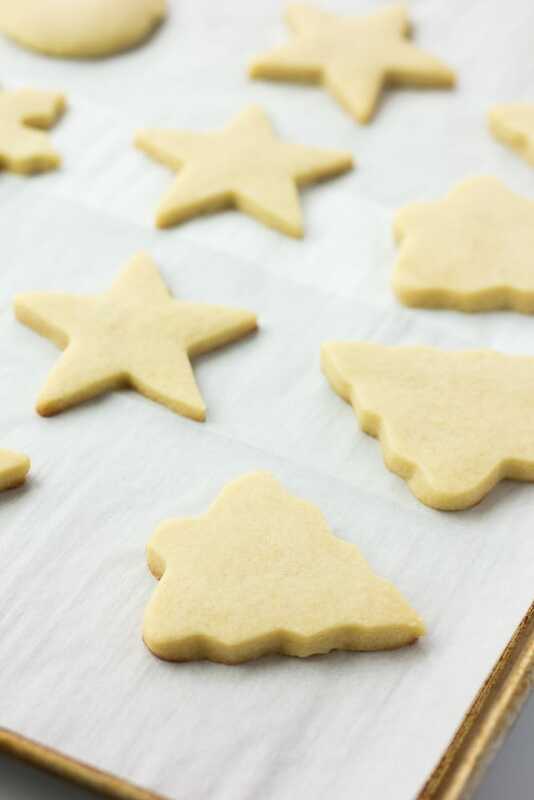 The trick is to outline the cookies first with a thicker icing, then flood the inside with a thinner icing, and carefully spread it to all the corners of the cookie. I used Wilton Bags and decorating tips for this, which I highly recommend for all your cookie and cake decorating needs. After icing, simply grab some food coloring, if desired, sprinkles of choice and have fun! My family has a tradition of making these cookies, and we usually just slap on some icing and have fun decorating. They don’t usually look quite so pretty, but they always taste amazing! What food coloring is vegan? Well this is quite a complicated topic. I’ve done A LOT of research on this online. Watkins brand is for sure vegan. From what I can tell, several of Wilton brand are vegan, such as the gel based color. I found a few at my local craft store, and carefully read the ingredients before buying. If you don’t want to use food coloring, you can also make your own, or just go with white frosting. Soft vegan sugar cookies that hold their cookie cutter shapes! Perfect for Christmas, Valentine's Day or any other holiday. Have fun with easy icing and sprinkles of course! In a large bowl either using a handheld or stand mixer fitted with the paddle attachment, beat the vegan butter for about 1 minute until creamy and smooth. Add the sugar and beat on high speed for 2-3 minutes until fluffy and light. Now add in the almond milk, cornstarch, vanilla and almond extract (if using). Beat on high until it is all fully combined, about 1 minute. Scrape the sides of the bowl as needed. Add 1 cup of the flour to the wet mixture. Sprinkle the baking powder and salt on top of the flour. Mix on low speed, until just combined. Now add 1 more cup of the flour and continue to mix on low until just combined; don't over mix. The dough should feel similar to play dough when you work it in your hands, but it will look crumbly in the bowl. If it seems too wet for rolling, add another 1/4 cup of flour. You want the dough to be thick, but not dry. I always use the full 2 1/4 cups of flour. If the dough is too wet, your cookies will spread. Using a spatula, scoop all of the dough out of the bowl; use your hands if needed to push it all together. Divide the dough in half and roll into two balls. On a flat surface, add a sheet of parchment paper. Sprinkle a little flour on it, then add half the dough. Sprinkle a little flour on top of the dough, and roll it out to about 1/4 inch thickness. Place a sheet of parchment paper on top. Repeat for the second ball of dough, and then stack them with parchment paper. Chill in the refrigerator for at least 1 hour or overnight. Once the dough has been chilled, set it on the counter for 10 minutes while the oven is preheating to 350 degrees F. Line two baking sheets with parchment paper. 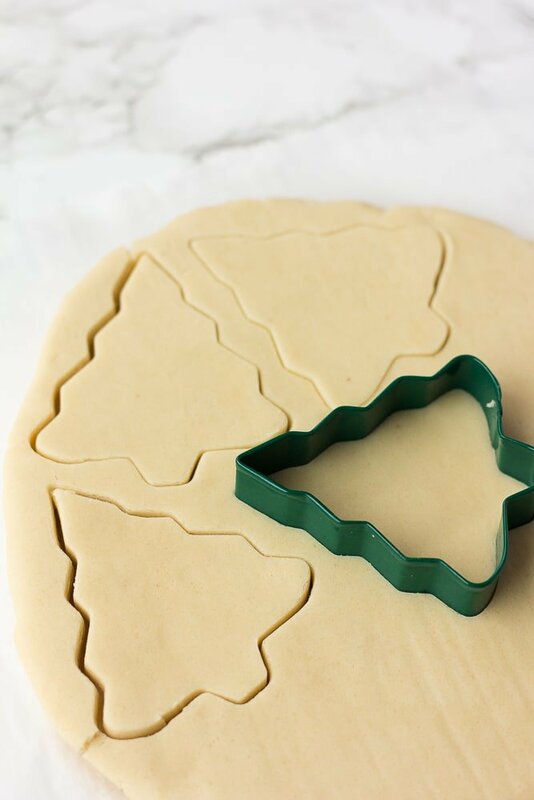 Cut into desired shapes using a cookie cutter and place them on the prepared baking sheets. Continue re-rolling the dough until it is all used. Bake for 8-10 minutes, in the middle rack of the oven, until very lightly colored on top and around the edges. They will appear underdone, but they will firm up considerably as they cool. Let them cool for 5 minutes, and then transfer to a wire rack to let cool completely before icing. Whisk all icing ingredients in a bowl. If it seems too thick, add a little more almond milk. It should be smooth, glossy and not runny. If too runny, add more powdered sugar. You can dip the cookies in the icing, or use brushes, spoons or a squeeze bottle. 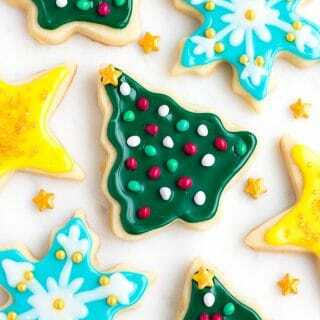 See this helpful video on how to decorate sugar cookies with icing. *If you want really pretty cookies, first make the icing thicker, by using only 1 tablespoon of almond milk. 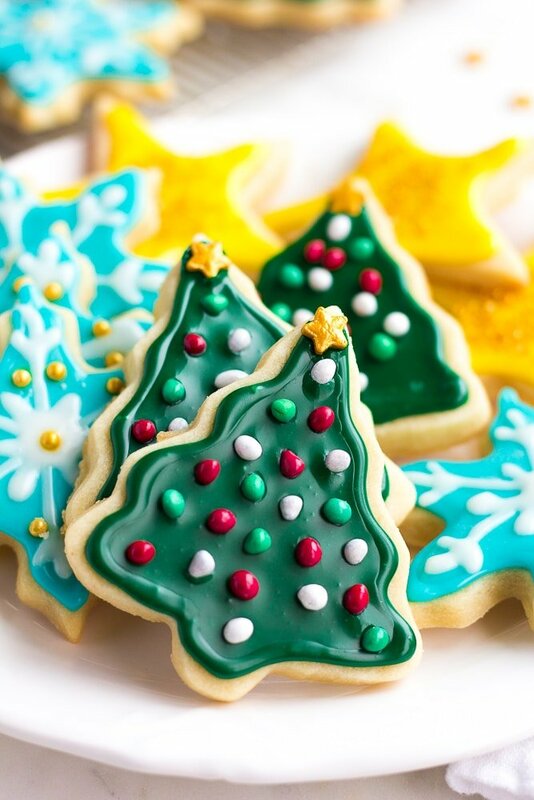 Using a decorating tip, outline the cookies with the thicker icing. Then add a little more milk to thin it and flood the inside with icing. This way the icing doesn't spill over the cookie edges. Decorate with sprinkles as desired. 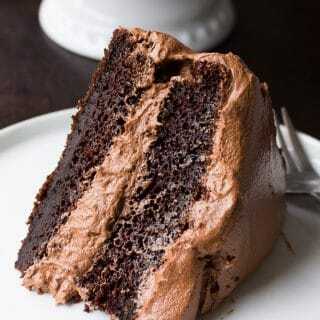 The icing will take several hours to harden completely. The cookies will stay soft for about 5 days at room temperature. Try to get the earth balance sticks if you can; they are easier to bake with. Results will vary with other brands of vegan butter. Almond extract is optional but it adds a very good flavor to both the cookies and the icing, so use it if you can. To correctly measure flour, make sure to spoon and level by scooping the flour into the measuring cup with a spoon and level it off with the back of a knife. If you don't correctly measure the flour, you can end up with way too much flour and the dough will be dry! If you aren't comfortable using corn syrup, you may omit it. I rarely use it, but it makes cookie icing pretty and shiny and it's just 1 tablespoon. 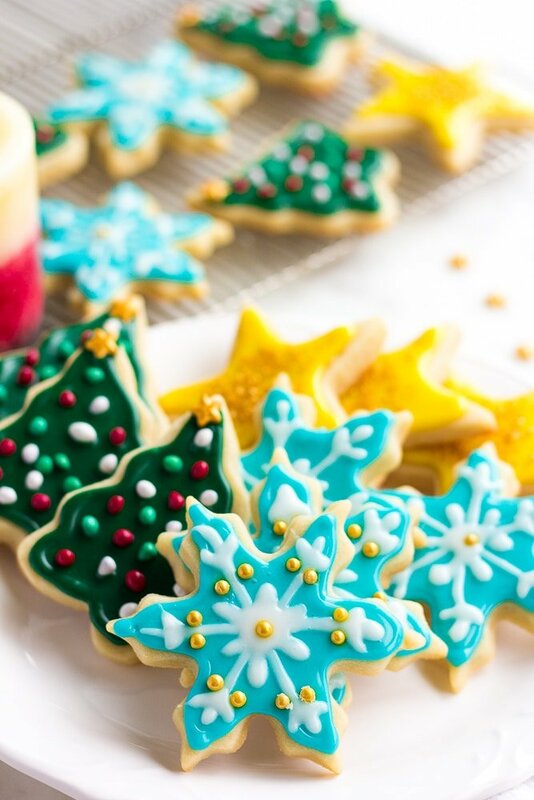 Baked sugar cookies freeze well, but don't freeze them once frosted.